this community - and this nation." In the aftermath of the most divisive presidential election in U.S. history, news reports of racist and religious intolerance and of people being told to “go back to your own country” are truly shocking. As an educator of English Language Learners, as a member of a religious minority, as a woman, and as an American, I find it unacceptable. Students, both those who are ELLs and those who are not, should not be fearful in school or in their community. 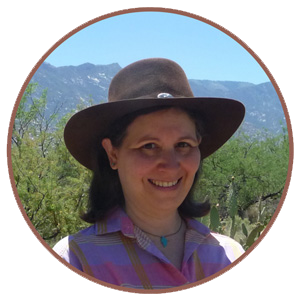 They should not be afraid that if they dress a certain way or if they speak another language or if they look and behave differently, they will be verbally attacked or physically threatened. All adults, and especially teachers, regardless of their political preferences, need to reassure children that they are valued for who they are. That the people engaging in these acts of prejudice are only a small minority of the people living in America and that most of us treat strangers as well as friends and family with kindness and respect. To that end, I’ve created a new resource, Quotation Posters about Respect & Kindness: Writing and Discussion Prompts. 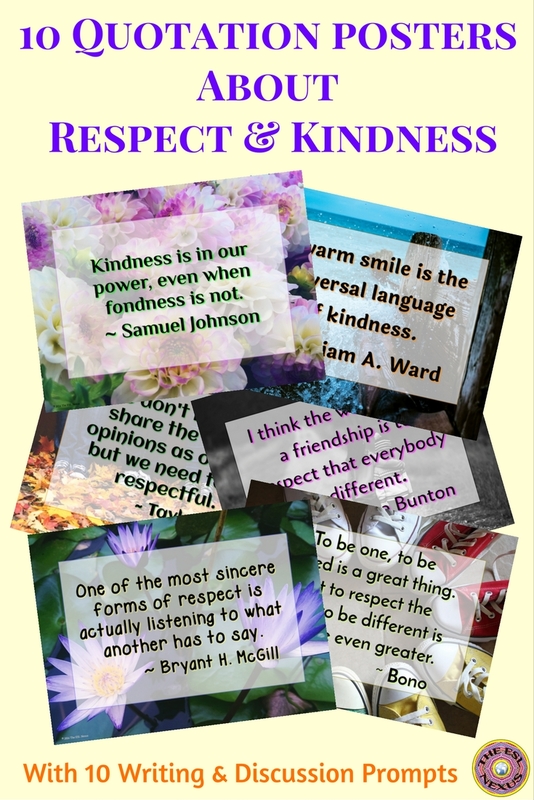 This resource contains 10 mini-posters with 5 quotations about Respect and 5 about Kindness. Each quotation is overlaid on a photograph that can also stimulate conversation about kindness and respect. Besides the mini-posters, the resource includes a list of 10 questions that serve as prompts for writing or discussion. There are also 6 suggested ways to use the posters. Students can write answers to the prompts on the included student answer page. I hope that in some small way, these quotation posters will help teachers give their students ideas for responding positively to difficult situations or people that students may encounter. I also hope these quotation posters will help teachers maintain classroom communities that are oases of acceptance, tolerance, and understanding. As another U.S. president, Dwight D. Eisenhower, said: "This world of ours... must avoid becoming a community of dreadful fear and hate, and be, instead, a proud confederation of mutual trust and respect."